On 29 July, Bujumbura Court of Appeal public prosecutor addressed a correspondence to the Burundi Bar Association about disbarring four lawyers. Armel Niyongere, Vital Nshimirimana, Dieudonne Bashirahishize and Lambert Nigarura were accused of non-compliance with professional ethics. 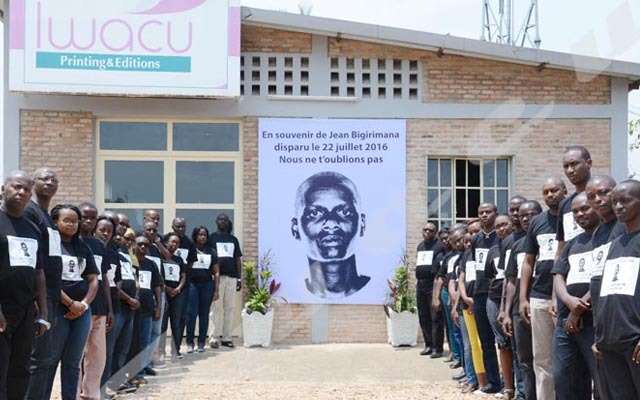 The first two lawyers were specifically charged with involvement in some criminal cases in relation to the participation in insurrectionary movements, the coup attempt and the traffic of image broadcast on France 3 TV channel in connection with a so-called genocide in Karuzi eastern province of Burundi. Kiyuku Salvator, the chairman of Burundi Bar Association explains that the public prosecutor of the Court of Appeal referred to Article 61 of the Act of 29 November 2002 on the reform of the lawyers’ status to submit the matter to the Bar Association.” The Bar Council is competent enough to decide on any disciplinary action of lawyers.” He clarifies. He adds that disbarring lawyers means dismissing them permanently from the Bar Council. This is a very serious sanction that must be only applied for very serious disciplinary offenses. “This is the equivalent of death penalty,” he states. Kiyuku says the bar association has 60 days to make a decision on the request submitted by the public prosecutor. The latter and the four dismissed lawyers will be called each to express their standpoint on the issue. “We can dismiss the case if we really realize there is the lack of incriminating evidence. Or we can decide to sanction lawyers possibly to disbar them if need be or introduce another penalty. So we will judge impartially,” he says. For Armel Niyongere, one of the accused lawyers, the prosecutor’s request was made after his recent trip to Geneva where he participated in the session of the UN Committee against Torture which evaluated Burundi. Burundi government is frustrated after its delegation learned that Burundi civil society organizations had produced and presented a report on human rights violation committed in the country to the UN experts of the Committee against Torture, without the government knowing. The delegation members said the civil society report should be sent back to them so that they could prepare their responses. “We were expecting these actions because the governmental delegation was humiliated for being unable to answer the questions asked by the UN experts,” says Niyongere. He also mentions that these pretexts of prosecutions against some lawyers are pointless because their arrest warrants were signed a year ago, and thus disbarring them today would be senseless. He states that the current Burundi regime is intimidating them for the fight against impunity they have started.